All information contained on this website is intended for informational and educational purposes only. It is not intended as a replacement for professional medical advice or treatment. When alcohol is consumed it is absorbed into the bloodstream from the stomach and intestines. The blood is then passed through the liver before circulating around the body. The largest concentration of alcohol therefore is contained in the blood flowing through the liver. As discussed in the alcohol metabolism page the liver cells can only process a certain amount of alcohol regardless of the amount that has been consumed. Drinking faster than this ( typically 1 drink per hour ) raises not only the level of alcohol in the bloodstream but also acetaldehyde. Under disease conditions, the liver health is compromised and the liver itself often becomes the victim of the disease also, even though it may have originated elsewhere. This is because the blood flows towards the liver from all the digestive organs including the gall bladder and pancreas, resulting in metastatic carcinoma. Storing glycogen, which is broken down in to glucose which is released into the bloodstream when needed. Processing fats and proteins from digested foods. This is the first stage in the progression to cirhossis. 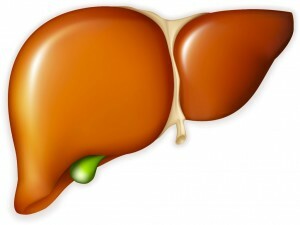 Fatty liver occurs when more than 5%-10% of the weight of the liver is composed of fat. The condition is reversible with abstinence from alcohol. The second stage of the progression to cirhossis. If alcohol is abated at this stage, a return to normal liver function may take a long time but often with some noticeable permanent damage. This is the final and irreversible stage of ALD, with widespread scarring of liver tissue and development of liver nodules. Liver functionality is reduced and life expectancy is also reduced. Death rates from ALD in the UK are on the rise, in some parts of the UK, liver disease has increased by over 400% in the last eight years. A recent 2010 research paper by Mashiko Setshedi in the publication Oxidative Medicine and Cellular Longevity reports “Acetaldehyde, a major toxic metabolite, is one of the principal culprits mediating fibrogenic and mutagenic effects of alcohol in the liver. Mechanistically, acetaldehyde promotes adduct formation, leading to functional impairments of key proteins, including enzymes, as well as DNA damage, which promotes mutagenesis”. Alcotox, by virtue of its ability to bind to acetaldehyde, can therefore mitigate a significant amount of cellular damage caused by it.